Whenever I am asked for my favorite fashion in film, it would have to be Alfred Hitchcock's 1954 classic Rear Window. 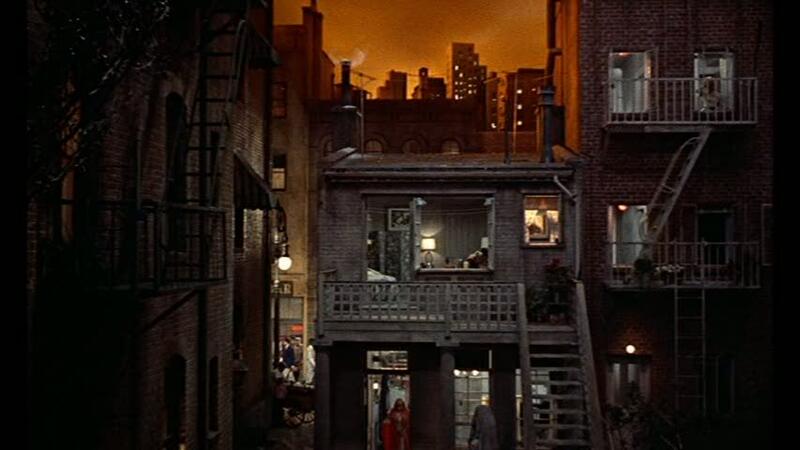 Though I had watched movies voraciously as a child, it was really seeing the trifecta of Rear Window, Woody Allen's Manhattan, and Frederico Fellini's La Dolce Vita one hot July weekend 20 years ago that seduced me into loving classic cinema. 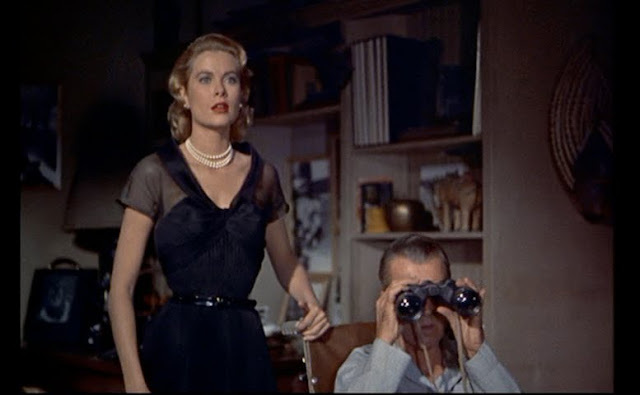 Though all three led to a lifelong passion, it is Rear Window--and its sublime wardrobe--that has always captured my imagination. 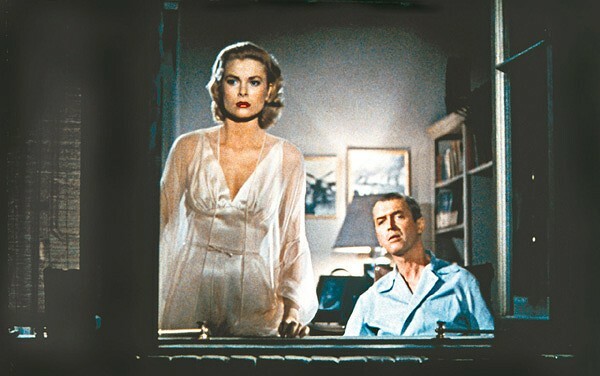 It's easy to love Rear Window...there's so much to appreciate about it. 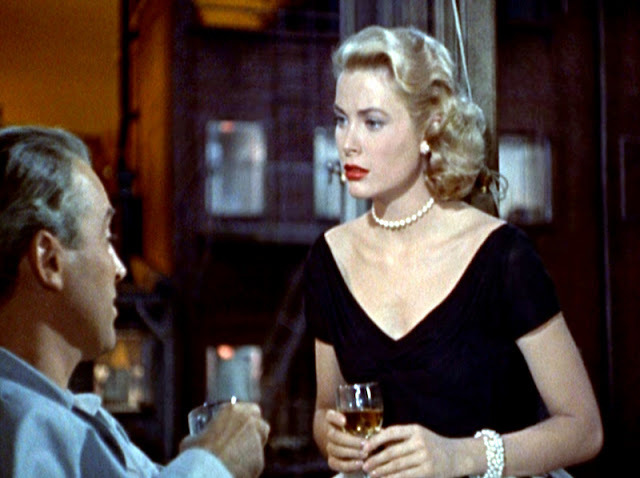 First, there's the chemistry of its charismatic co-stars Jimmy Stewart (L.B. 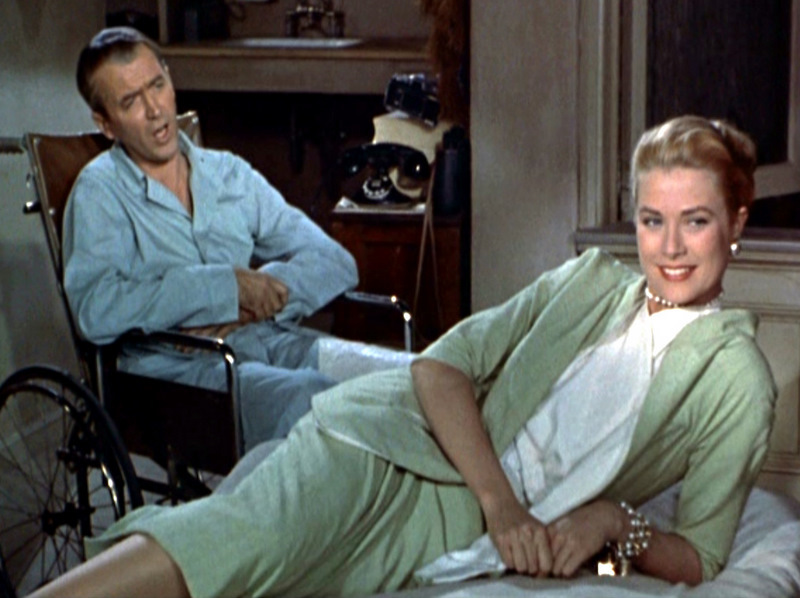 "Jeff" Jeffries) and Grace Kelly (Lisa Fremont). They were great friends in real life--both he and Hitchcock adored Grace--and that relationship really carried over onto the screen. They engage the audience in a romance as well as a moody mystery, and the sinister side of Rear Window's plot unfolds as if you're watching a play. 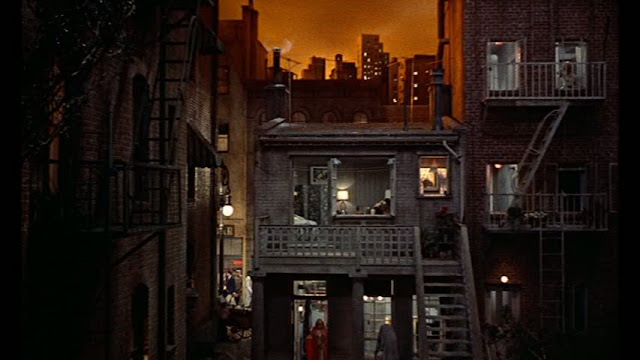 The bamboo blinds in Jeff's apartment (above) even act like curtains for a show whose stage is New York's Greenwich Village. Incredibly, you never suspect that the location is courtesy of a custom-built soundstage at Paramount, especially when you can practically feel the smoldering summer and heatwave from Robert Burks' cinematography. Most significantly, though, has to be its wardrobe. 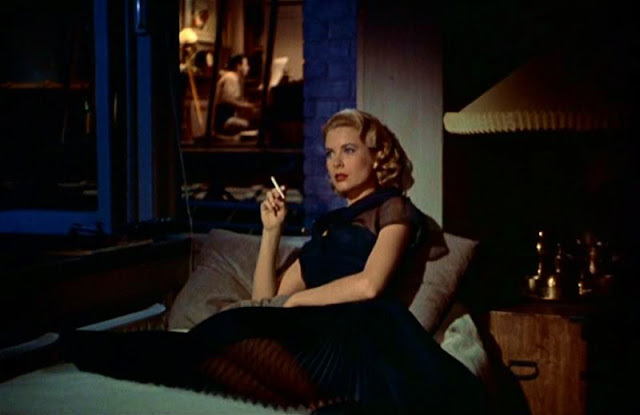 Everything changed when I saw Edith Head's design aesthetic for Rear Window. 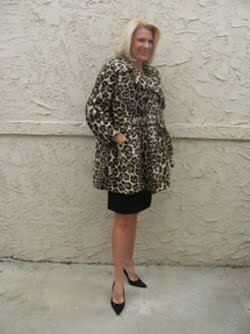 "That," I remember thinking, "is how everyone should dress." 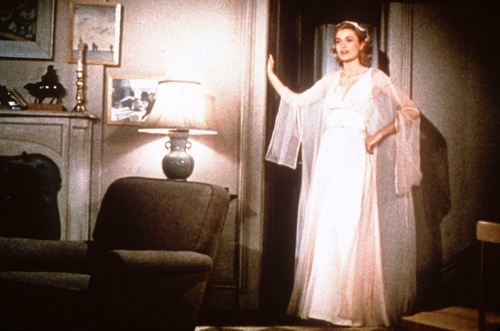 The winner of 8 Academy Awards over her 50+ year career, Edith was responsible for some of the most iconic costume design on film. 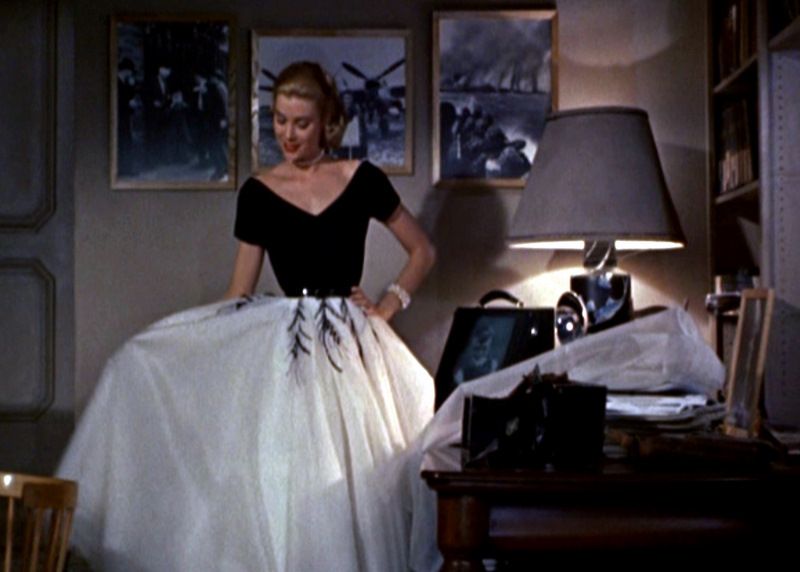 Most of her 400 film credits happened at her home studio of Paramount, where she would eventually become the head of costume design. 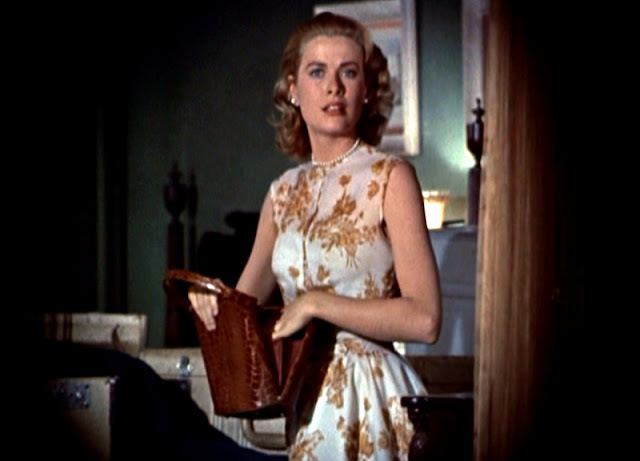 Her tenure included other Hitchcock classics such as To Catch a Thief (1955), Vertigo (1958), and The Birds (1963). 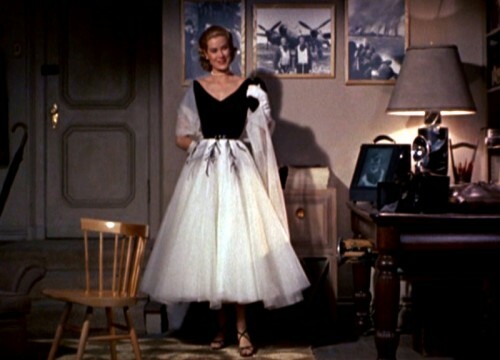 She also designed for close friend Barbara Stanwyck in Double Indemnity (1941), Veronica Lake in This Gun for Hire (1944), Bette Davis in All About Eve (1950), and Elizabeth Taylor in A Place in the Sun (Oscar winner, 1951). The list goes on and on. 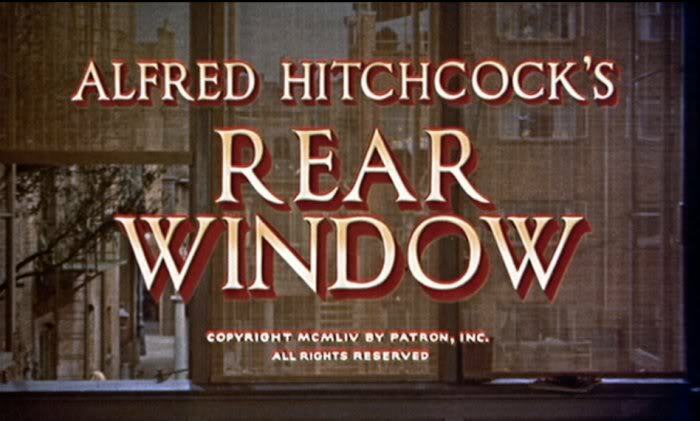 But even in this company and among The Style Essentials, you can see that Rear Window is a standout. 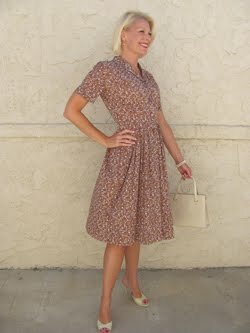 Its timeless classic look makes it a wardobe that any woman would want. 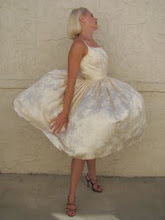 The clothes include iconic fit and flare cocktail dresses that were particularly popular in the 1950s. 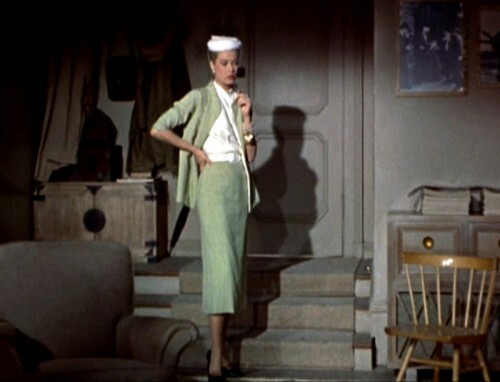 And no one did pencil skirts (and suits) like Edith Head, especially because her taste tended to lean toward more tailored looks. 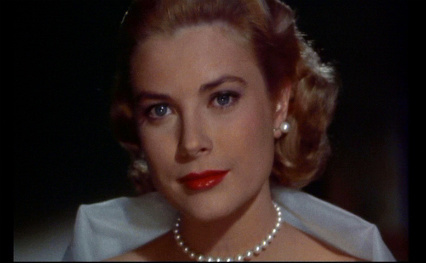 Even accessories like the choker of pearls (below), charm bracelet, and Mark Cross overnight bag are considered classics as are Grace's hair and makeup. 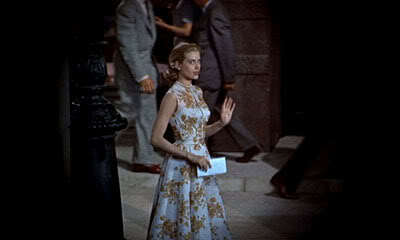 All made an immediate impact on fashion in 1954 and continue to influence designers today. It is Edith who one should think of whenever you hear the words 'Hitchcock Style.' 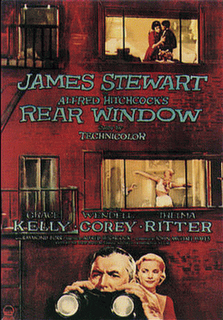 Rear Window is a prime example of her lasting legacy. 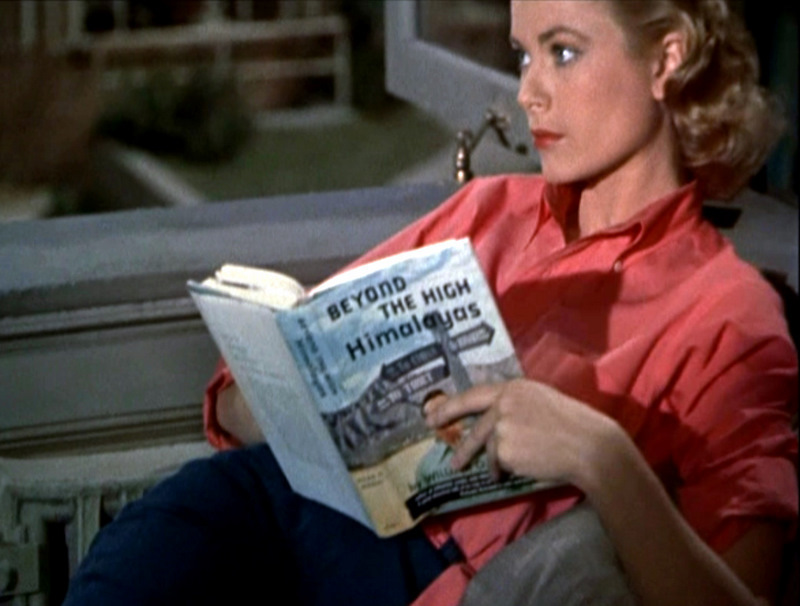 Rear Window has inspired me personally in several ways. 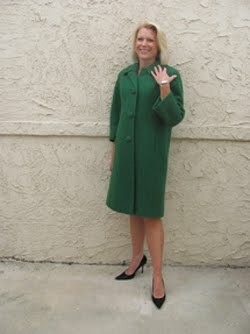 One was when I first tried to accessorize a vintage 1960s celadon sheath. 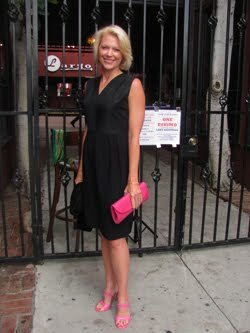 I recalled that that Lisa's shoes and Mark Cross handbag were black, so I paired my dress with a 1960s black patent leather frame bag and modern black patent leather peeptoe pumps. The green-black combination might seem obvious now, but I assure you it wasn't when I was debating my options at the store. 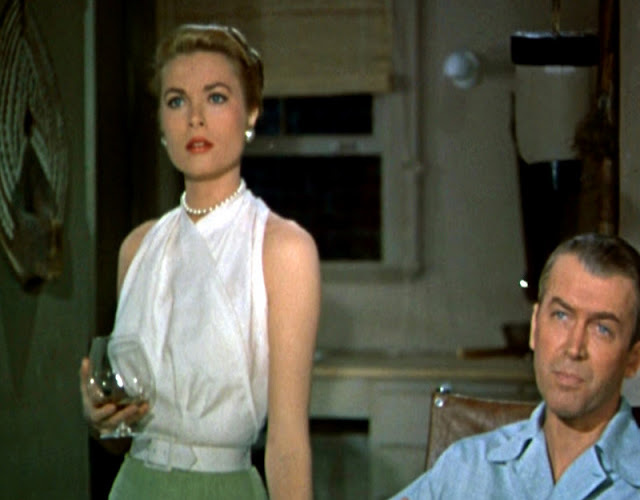 And of course the double-strand pearl bracelet around my wrist (actually a necklace repurposed) is yet another nod to my inspiration.